They are silk with two separate pieces of material sewn together by hand with thousands of running stitches. The way in which the stitch has been used is what makes the shawl extraordinary. While making the shawls, the cloth is given layers that are kept together by the stitches . 4. Customer make the payment for deposit and send us bank receipt. 3. Good Service : We treat clients as our friends, and do everything to meet demands from clients . 4. Good Quality : We have strict quality control system and good reputation in the market. 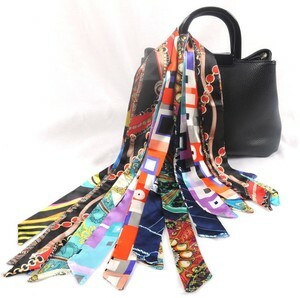 Alibaba.com offers 5,116 silk scarf wrap products. About 57% of these are other scarves & shawls. A wide variety of silk scarf wrap options are available to you, such as free samples, paid samples. There are 5,078 silk scarf wrap suppliers, mainly located in Asia. The top supplying countries are China (Mainland), India, and Pakistan, which supply 88%, 11%, and 1% of silk scarf wrap respectively. 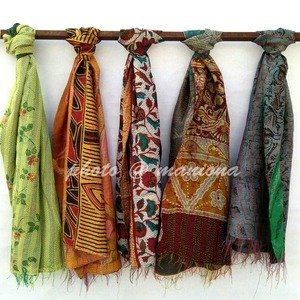 Silk scarf wrap products are most popular in North America, Western Europe, and Central America. You can ensure product safety by selecting from certified suppliers, including 268 with Other, 58 with ISO9001, and 25 with BSCI certification.